The islands described in the short novel Kilda really exist. Actually, it talks about the archipelago called St Kilda, an isolated place in the Atlantic, north of Scotland, in the Outer Hebrides. Composed of four main islands (Hirta, Soay, Boreray and Dùn) and three small islands, the Stacs (Stac Lee, Stac an Armin and Stac Levenish), St Kilda has a tough climate and the ocean, often raging, makes the sailing especially uncertain around its coasts. Indeed, waves often crash violently on Conachair cliffs, the highest ones in the United Kingdom. When I discovered the existence of this archipelago, I wanted to learn more. What I discovered seems to me so fascinating that I immediately think about a story located there. There are no trees on those islands beaten by the wind. Only grass and a few low plants which desesperately grab onto the peaty soils (Enthusiasts for whisky take note !). We can also find there seaweeds, lichen, rocks, shingles, a little sand and not much sun. Nothing is really welcoming. 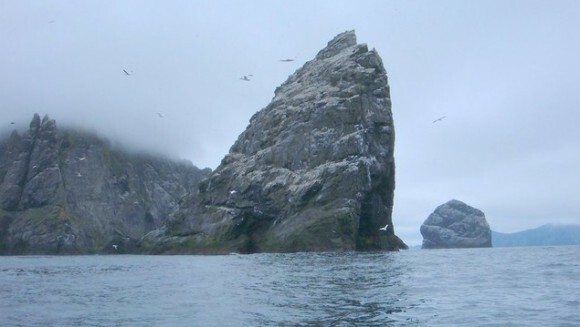 Pieces of land damaged to sea, St Kilda is, however, the paradise for birds. The archipelago is, by the way, a zone of reproduction of various spieces of sea birds: nothern gannet, atlantic puffin and nothern fulmar prosper there peacefully. It also exists a species of black wild sheep on Soay island. They are little and hardy, perfectly suited to the harshness of life at the very end of the world. However, on this desolate and far from time territory, some men lived there, building their existence against the hostility of elements. Some marks of occupation dating from the Neolithic have been found. It is certain that Hirta island has been constantly occupied since the bronze age until 1930, when the last islanders were evacuated. The community which occupied the archipelago during more than two thousand years developped an original way of life based on mutual assistance and solidarity, a little modelled on an utopic socialism. This part will be developped in the next articles. This way of life is totally fascinating in a community completely cut off from History, which strengthen the idea to write a story in this setting. Tags: Kilda project, St Kilda, St Kilda birds, St Kilda heritage, St Kilda history. Bookmarquez ce permalien. Would be lovely if you’d translate a few more posts – or can you put a translate button on the WordPress?